A growing number of elderly veterans have been kidnapped and held up in state psychiatry wards by criminal elements within British authorities. 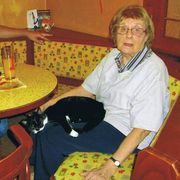 British born grandmother, Barbara Hofschröer, a disabled Second World War veteran, has been held incommunicado by York authorities since 2014. She has been confined against her will in a York care home after her assets were forcibly stripped by British forces. Her son Peter Hofschröer was also jailed in the UK under charges of holding indecent images. These charges were later dropped. However, he was then held in a psychiatric ward, despite being judged as mentally sound by independent psychiatrists. He believes that both he and his family were targeted for their properties and savings as well as the fact that they had repeatedly tried to expose corruption within British and German authorities. Both Peter and his Grandmother have been denied legal representation and North Yorkshire Police have spent in excess of £1 million to prevent media exposure of the case. You can find out more about the case on Despatches from UK Column and on a blog started by Barbara, also known as ‘Grandmother B’.